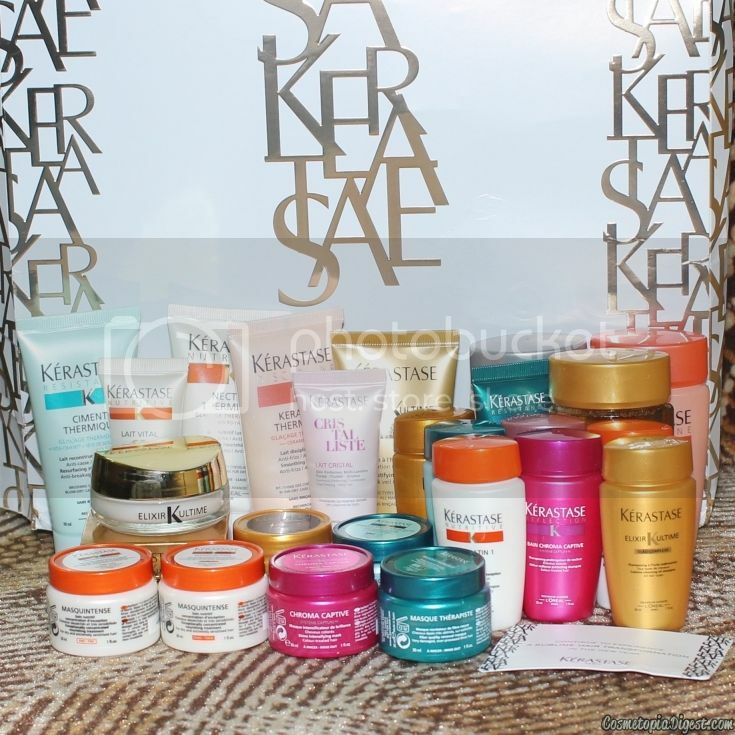 The Kerastase Advent Calendar 2015 is, needless to say, dedicated to hair products. It contains 25 products, which are worth a total of £125. It is one of the few Advent Calendars still available, and, at £63.90 with free tracked worldwide shipping here, you get a very good deal for some luxurious Kerastase products. Plus, if you buy now, you get a free gift: L'Oreal False Lash Arch 4D Mascara and Superliner Smokissme. 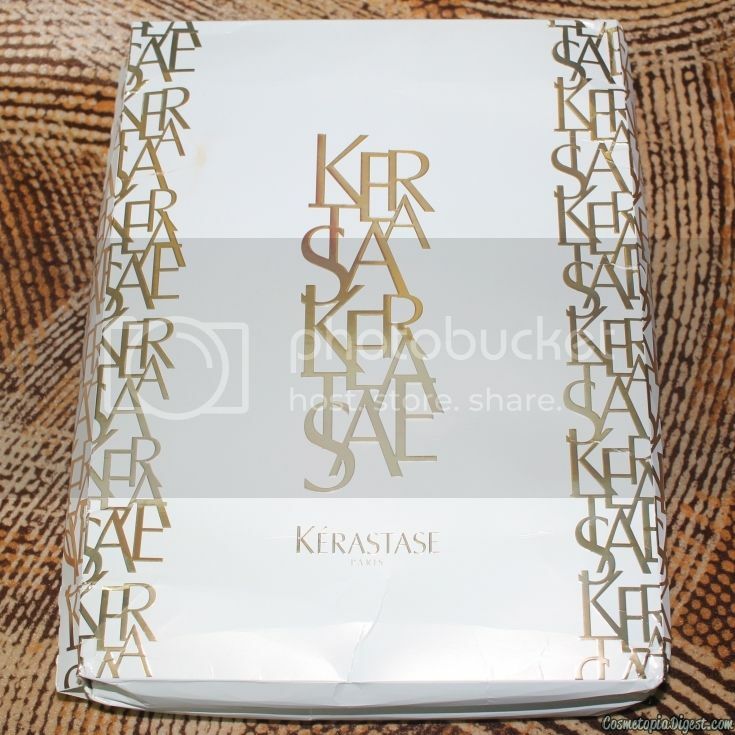 Scroll down for the review and contents of the Kerastase Advent Calendar 2015. This has to be the flimsiest Advent Calendar I have received so far. The material used is very thin Bristol Board and not even proper cardboard. The box was squashed on arrival, but none of the products had leaked, thankfully. Needless to say, I have trashed the packaging. 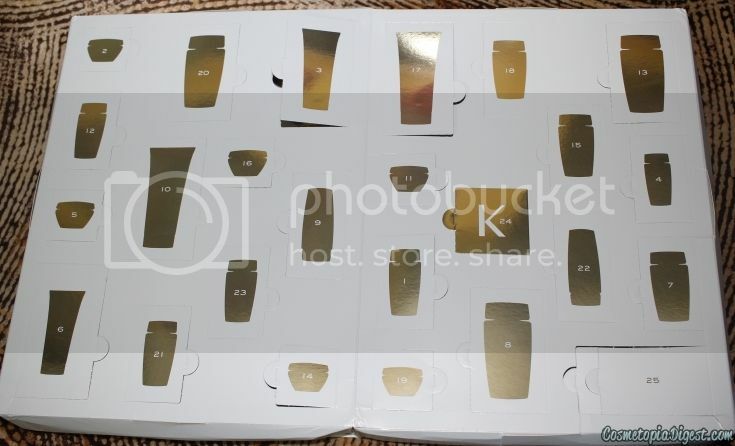 Inside, you have an array of capsules with the numbers and images of bottles or jars. There are spoilers and ingredient lists on the back cover. That's 25 products in all, including the voucher. I would have liked to receive something like a hair tie in lieu of the voucher, but never mind. I might buy one more solid serum, or the Nutritive Intensive Masque. Size-wise, there is a varied range, from 18ml (the luxurious solid serum, which is a leave-in and needs to be used sparingly) being the smallest, to the most generous at 80ml (three shampoo bottles). The other products range from 30ml to 50ml. 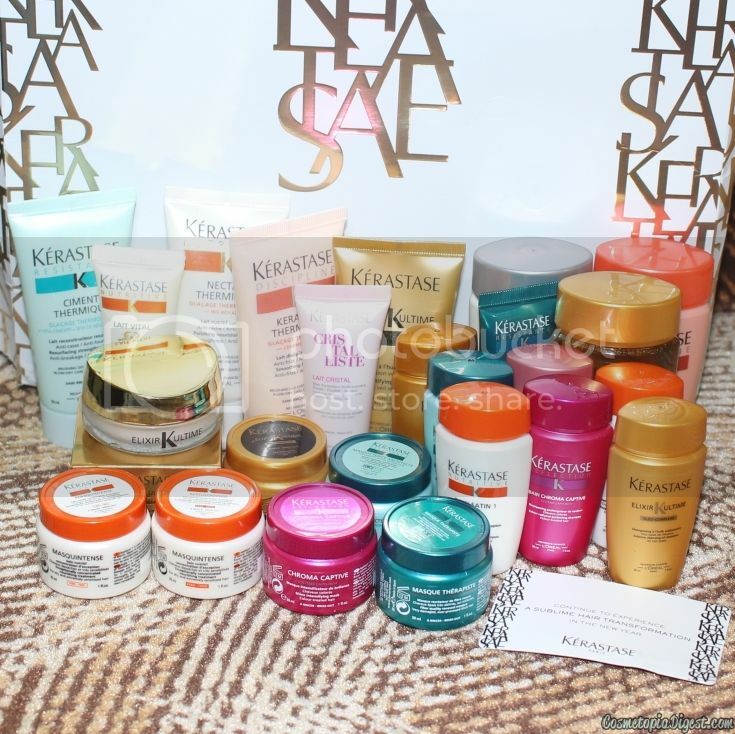 This is a great chance to try out some Kerastase products. The Kerastase Advent Calendar is a treat for your locks this Winter. I particularly liked that you get products across a range - a shampoo, a conditioner and a leave-in treatment, in most cases. I intend to begin with the Resistance strengthening trio. Getting all products in the range means your hair gets optimum benefit from the treatment. The Kerastase Advent Calendar is still available here for £63.90 - slashed from the original £79.50. The products are actually worth £125. If you buy now, you get a free gift - L'Oreal False Lash Arch 4D Mascara and Superliner Smokissme, worth £18.95. I am not sure how long this offer will be running, so if you are thinking of giving your hair some TLC, go for it! An Advent Calendar for the hair is a genius idea - next year, someone ought to do one for the eyes, featuring mascara, shadows, liner (NO black pencil ugh), falsies, primer and under-eye creams.